From April 16 to the 25th the 12th European Culture Week will be taking place all over Italy and Europe and thus in Tuscany as well. The event, successfully organized by the Italian Ministry for Cultural Assets and Activities, opens State museums, monuments, archeological sites, archives and libraries, both for Italian and foreign visitors with free entrance. In Italy there will be over 2900 events during the week, with over 200 just in Tuscany. 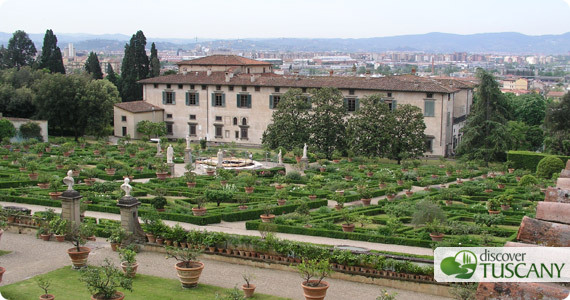 Free guided tours, as well as special exhibits and events, will be organized across the region, such as the extraordinary opening of the Gardens at Villa La Pietra and its Acton Collection. The European Culture Week is certainly a unique occasion to discover and visit unique Italian masterpieces, as well as hidden Tuscan treasures enriching your unforgettable holidays in Tuscany. Aside from free entrance into state museums, you can enjoy a full schedule of events.